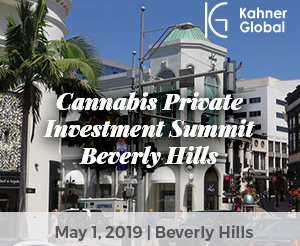 Join our industry experts, entrepreneurs, and investors as they discuss the critical topics investors should consider at the Cannabis Private Investment Summit West on May 1, 2019 in Beverly Hills, California. Stay tuned as speakers and discussion topics are announced! Join our industry experts, entrepreneurs, and investors as they discuss the critical topics investors should consider. More speakers to be announced!